Robots aren’t taking our jobs – they’re giving us jobs. With more and more industries utilizing robots to make the workplace safer by automating dangerous jobs or to simplify menial tasks, positions are continuously being created for people who are passionate about robotics. Whether you want to build, maintain, or operate robots, nearly every field of work needs someone like you to help them manage their automated taskforce. Robotics operator jobs are among the most fun positions. They’re relatively commonplace, and you’ll even see them slowly infiltrating job boards as though they were any regular career. Robots require constant supervision in the event of a malfunction or a breakdown, and the operator’s job is to watch (and sometimes control) these robots as they perform their day to day tasks. This is an excellent position for people who enjoy piloting drones. 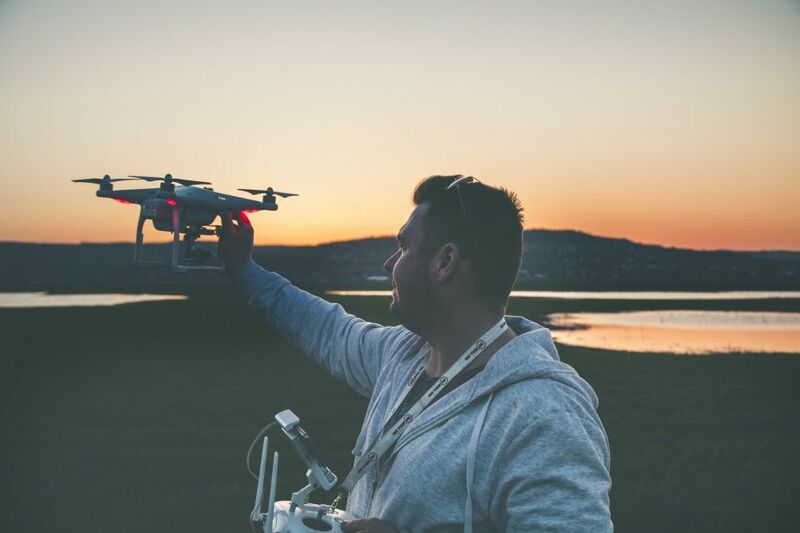 Drones are becoming increasingly more prevalent in the routine of nature conservationists, firefighters, emergency search and rescue, police work, small deliveries, surveillance and security, and military activities. Companies in various fields also utilize the advantages of drones for the exploration of dangerous areas like construction sites, mines, caves, accident sites, and rubble. The ability to send a drone to these areas means that a person’s life is never in danger – robots are always replaceable. Robots are made of hardware, and hardware can’t run without software. As a software developer, you can design programs that will tell a robot how to operate (and perhaps solve common bugs or kinks that occur in the robot’s operation process). One team will build the robot’s body, and you will essentially be responsible for building the robot’s brain. The better the software the better the robot’s performance will be. As far as programming languages are concerned, robotics requires a little bit of everything. It’s a buffet of many of the most common programming languages, including C++, Java and Python. It never hurts to be a well-rounded programmer – you’ll always be able to find a job if you’re sharp with multiple programming languages. Careers in robotics engineering are perfect for people with an all-encompassing passion for robotics. You’ll dabble with nearly every aspect of the creation of a functioning robot. You’ll focus on designing building, software, and hardware. This job is very nuanced, complicated, and not for the faint of heart. If you have the passion to follow through, it’s worth pursuing. This is an ideal position for innovators. If you have ideas for robots that can revolutionize an entire industry or you’ve conceptualized a new application for robots in an industry that has not yet adopted them, becoming a robotics engineer will put you in at the ground level. You can start working for another company, or you can start your own business in robotics to offer creative solutions to companies in need. It all depends on where you ambition and drive take you. If you’re passionate about robots and interested in the value they provide, but you’re not so sure of your ability to build, operate, or maintain them, this is the position to you. Robotics companies need qualified salespeople to convince businesses (or individuals) to purchase their products. If you fully understand the merits of these robots and how they work, your job can be pitching their worth to other people. Salespeople may also work with clients to create customized robots or change existing designs to accommodate the specific needs of a buyer. You’ll get to play around with concepts and be a part of the overall design process without having to learn how to make all of the changes and modifications yourself. You’re getting the best of both worlds, and you don’t need a STEM specific education in order to pursue a sales position. This is a great job for tinkerers. If you like to take things apart, see how they work, and rebuild them to be better than they were before, you’ll love being a robotics repair technician. You’ll be able to work with a whole host of robots that serve different purposes. You’ll become familiar with them from the inside and out, and you might come up with a few ideas to improve upon their design. By keeping reports of what works and what doesn’t, you can help shape the future of efficient robotics. No matter where the heart of your interests resides, there’s always a career in robotics for you. If you haven’t yet, it’s time to choose a college major, get a trade certificate, or start working with that robotics hobby kit you’ve yet to build. Michelle Arios is a Project Manager and a Careers Expert, currently supporting online databases such as BizDb and Aubiz. Constantly overseeing a variety of projects and working with numerous people from different fields, Michelle enjoys sharing her careers and business tips, both with job-seekers and employers. Feel free to reach out to her on @MichelleArios.